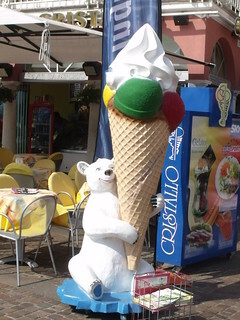 Outside an ice cream shop in Piazza Catena was this polar bear with ice cream. The shop was called Gelati da Asporto. Italian ice cream is quite tasty, although we didn't have any in Riva (was the morning).